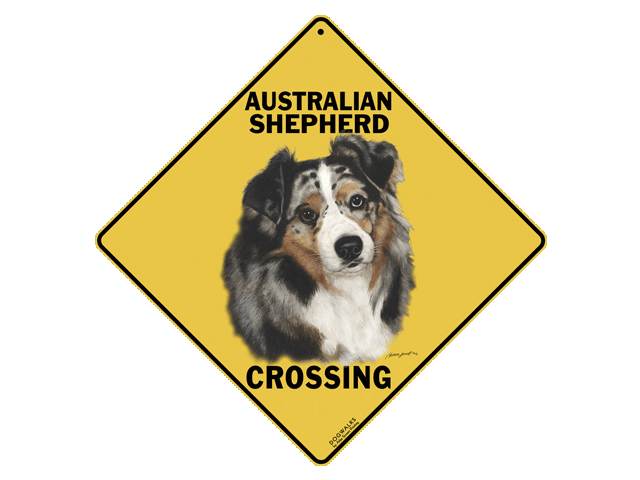 Australian Shepherd Crossing Sign. Full color screen-printed design on 12 x 12 inch caution yellow aluminum with rounded corners and one hole drilled in the top. Thickness is .032 inches. Artwork for this beautiful Australian Shepherd sign is by Tamara Burnett.